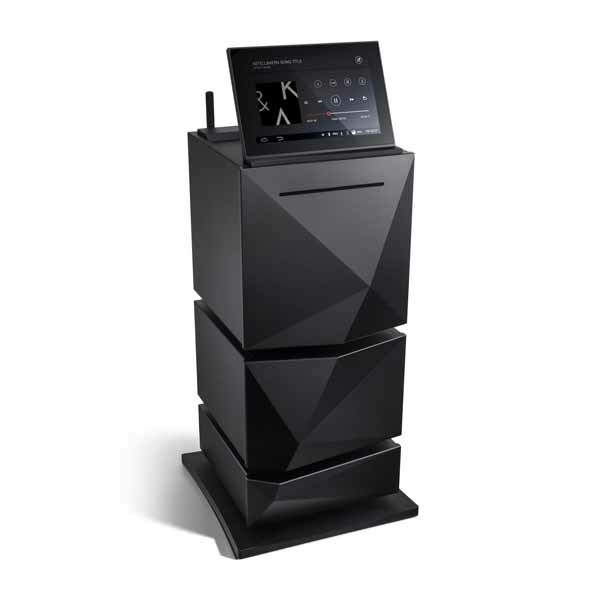 The Astell & Kern AK500N is unusual enough: a high-end CD ripping/storage/network player, all housed in a near-cube with styling apparently inspired by the Matterhorn, powered by internal batteries and with a flip-up touchscreen display set into its top panel. Look at the pictures and it looks huge; get to grips with it and you realise it’s actually remarkably compact – it stands around 24cm tall, and that display is a little under 18cm diagonal – if reassuringly weighty, at about 11.4kg. Now, as if the AK500N wasn’t strange enough, it’s been joined by the rest of the company’s AK500 system, comprising a matching power amplifier and high-capacity offboard power supply, complete with a stand onto which is mounted a wand with the sole purpose of providing some mood lighting to show off the sculptural design of the three products. 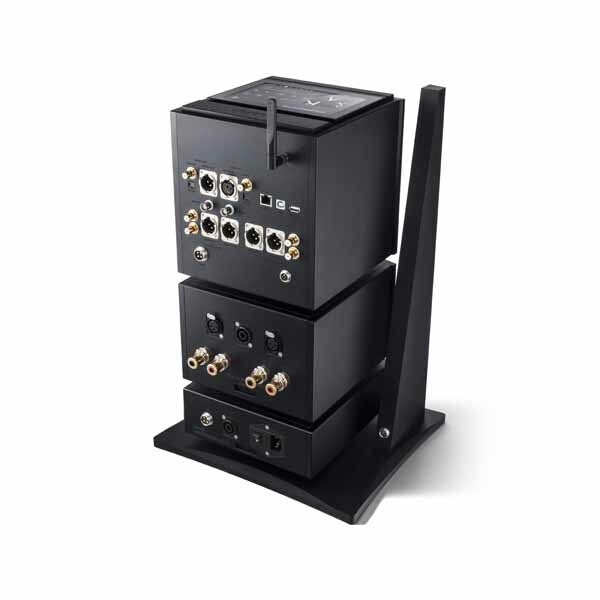 The three stack together using mounts built into the base of each unit, and are locked in place using screws on the mounts, the finished result being a system small enough to sit on a table or substantial shelf, and yet clearly designed to challenge many a high-end network set-up. It’s priced to match: the AK500N starts at £6999, complete with 1TB of internal SSD storage, and goes up to £8999 with 4TB onboard, while the AK500AP – the power amp and power supply, complete with AK LED stand, sells for £5999, allowing existing AK500N users to upgrade to the full stack system. Or you can buy the complete package at prices starting from £12,998 with the 1TB AK500N, and rising to £14,998 complete with the 4TB player/server. See what I mean about serious intent? So what’s going on here? Well, that’s a question I found myself asking the first time I encountered the AK500N, earlier this year: when it arrived for review I’d seen the pictures, read the press information, and yet still hadn’t quite got my head around what it was all about. I think the unusual styling probably played its part, with that asymmetrical protrusion on the front echoing those rock formations mentioned in the A&K press information, but reminding me of a more conventional style that’d found itself on the end of a left hook, and until I spent some time with it I’d assumed it was an all-in-one ‘just add speakers’ system, rather than the source component it actually is. 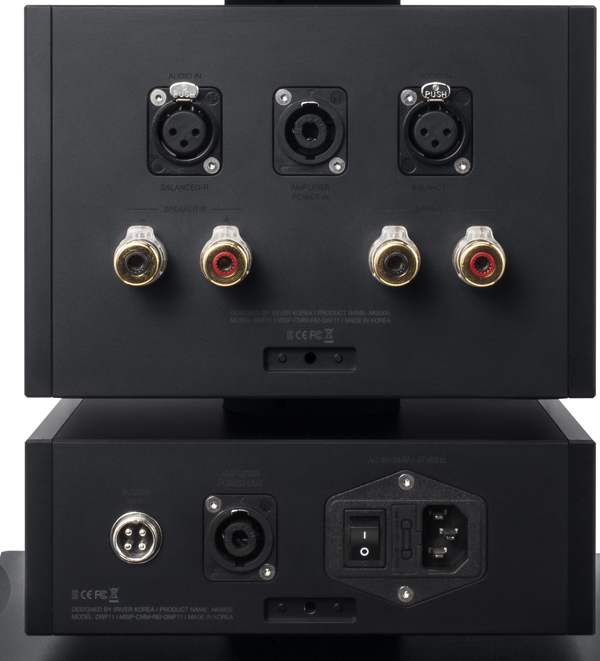 Take a look to the rear and the truth reveals itself fairly rapidly: the player has both fixed and variable-level analogue outputs, so it can be used into a conventional amplifier or preamp, or straight into a power amplifier, and also a choice of optical and electrical digital inputs and outputs, the latter on coaxial RCA, BNC and AES/EBU balanced socketry, as well as Ethernet, asynchronous USB Type B for data transfer from a computer and USB Type A host (for use with external storage), plus Wi-Fi. Meanwhile the side panel has a further USB Type A socket for external storage, a microSD slot, and audio outputs on 2.5mm, 3.5mm and 6.3mm sockets for headphones. A control panel within the touchscreen menu system allows you to select the connections you want to use, while switching off those not in use to minimise interference. The same thinking applies to the way the AK500N is powered: it comes with a mains power supply, but this is used to recharge the internal lithium-ion battery, and disconnects when the battery is charged. Indeed, once the battery is topped up, the mains adapter can be disconnected completely if required. The battery, by the way, is designed to be easily replaceable when it reaches the end of its working life, and the same applies to the other internal components of the AK500N: the SSD storage devices are entirely standard, allowing future upgrades or replacements, while the disc drive is also an off-the-shelf model, and can be swapped out if required. This modular design means it’s easy to start with one of the smaller storage capacities and increase it later, and the AK500N also offers a choice of RAID configurations to allow the user to choose between maximum capacity and maximum data safety (although of course I’d always suggest a device such as this is used with an external back-up for optimal storage security). The A&K will rip content from CDs to its internal storage and then both play those files itself and make them available to other UPnP/DLNA clients on the same network. A novel twist is that it can also upconvert files to DSD format, allowing them to be handled in optimal form by the AK500N’s native DSD digital-to-analogue conversion: this applies both to CD and high-resolution files, and also to 32-bit/384kHz WAV files and 24-bit/352.8kHz, should you have any music in those formats to hand! The DSD audio engine here is a proprietary Astell & Kern design, not surprisingly derived from the company’s work on its high-end portable digital audio players, and like the other aspects of the design is aimed at minimising noise throughout the conversion and playback chain. 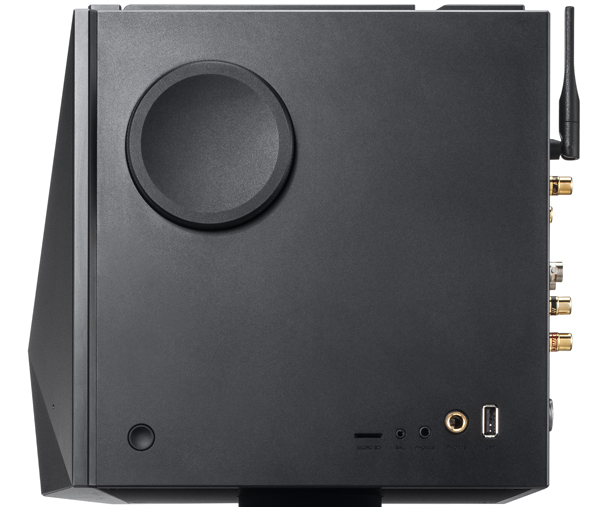 As well as playing content stored internally, the AK500N will also function as a network player/client for music on computers or NAS devices on the same network, and can also access Deezer streaming audio, and Internet radio via the vTuner platform. Those last two are new arrivals since first I looked at the unit, as is a much-improved AK connect control app, available for both Android and iOS smartphones and tablets – this makes using the AK500N much more intuitive, and provides the player with the interface it deserves. The AK500A power amplifier is a relatively chunky design, about half the height of the AK500N, and delivers 100W per channel from a balanced topology – again, all about minimising noise. It has no capacitors in the input section and DC feedback loop, in the interests of the most direct signal path, and isolates the input buffer, driver and output sections from the main audio amplifier to eliminate interference. Optical sensing is used for the protection circuits, again to break any physical or electrical connections liable to give rise to interference. The amplifier has balanced inputs and hefty WBT combination terminals for speaker output, plus a Neutrik-type connection for the power input from the AK500P. The power supply itself is almost the definition of ‘generous’: it has a similar Neutrik output to feed the power amp and a four-pin locking socket to match that on the AK500N, and has a capacity of 1100W despite its compact dimensions – again, it’s about half the height of the power amp. Somewhat flying in the face of established audiophile thinking, which suggests linear power supplies are good, and switched-mode bad, the AK500P uses switched-mode, but of an aerospace grade, very high frequency design, and offering a very high refresh rate. Add in the stand/light pole, clamp the elements of the system together using the grub-screws and tool supplied in the box – along with all the connecting cables – and that’s about it. 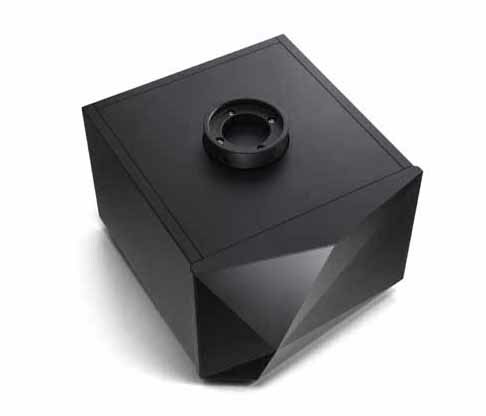 Actually, ‘that’s about it’ hardly covers it: assembling this system and setting it up is enough to demonstrate that this is no ordinary stack system, but a beautifully-made – if definitely very unusual – audiophile set-up in miniature. There’s a feeling of quality about the three units to which the pictures really don’t do justice, and that’s helped significantly by the heft of the components, which gives the whole enterprise a welcome sense of solidity and craftsmanship entirely in line with the way the Astell & Kern portables feel in the hand. I have to say I’m not too sold on that ‘light pole’ built into the stand, but the light it casts does definitely bring out the sculptural front panels of the three boxes in a way it’d be tricky to achieve with conventional room lighting, and there are different light modes to play with, controlled from the AK500N’s set-up screen. It certainly makes a talking point of the system – as if a high-end audio set-up this small and so unusual-looking needed any more set-dressing – but while it’s fun in the short term, I’m not sure I’d want to use it all the time. I guess it’s a matter of personal taste. What’s less divisive is the way the AK500N system sounds: having already been very impressed with the player alone when I used it as a source in my main system, I have to admit I was hoping the amplification – more of an unknown in the Astell & Kern repertoire beyond the headphone amps built into the portable players (which are very good, by the way) – wouldn’t let the side down. 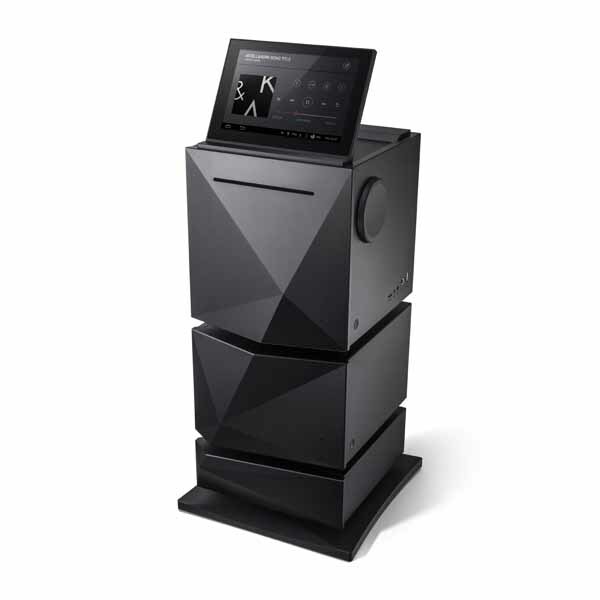 The Astell & Kern system breezed it, not only powering the big floorstanders with no signs of stress whatsoever, but also controlling them beautifully, and to excellent effect – exactly as I hoped a near-£6000 power amplifier would be able to do. OK, so the 803 D3s, for all their size and mass, aren’t exactly the most demanding of speakers in electrical terms, their maker quoting 90dB sensitivity and an 8ohm nominal impedance falling to a minimum of 3ohms, but for all the slightly comical looks of the little A&K stack sitting between the two hefty-looking floorstanders, this proved to be a set-up not just able to work in purely practical terms, but to do so in an entirely convincing fashion when it comes to music-making. 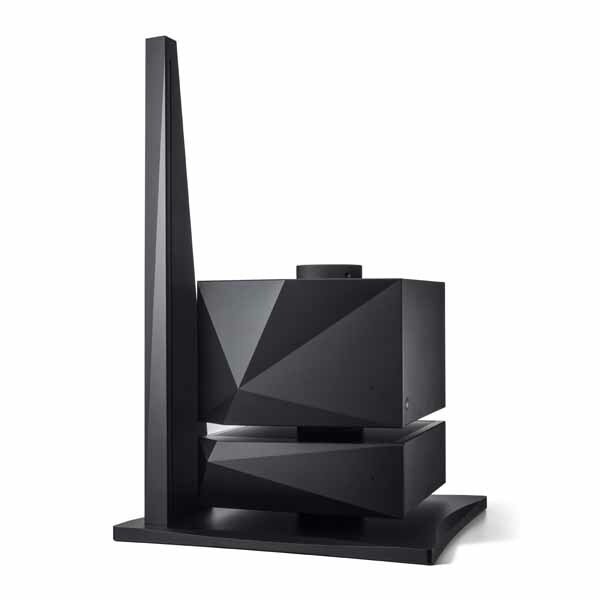 Just as the AK500N itself confounds prejudice when you see and hear it in use, so the AK500N/A/P combination has the ability to re-align views on what ‘serious hi-fi’ should look like: this isn’t just a quirky set-up from a company known for its idiosyncratic personal players, but instead a system as striking in its capability as it is in its design. That there’s also obvious pleasure to be had in the disconnect between the compactness of the package and the size of the sound it delivers simply adds to the experience, as it does when using one of Astell & Kern’s pocket players: there’s an enjoyment in being ‘in on the secret’, in discovering something unknown to all those audiophiles with their racks of visually mismatched, macho-looking hi-fi components. However, the effect doesn’t wear off when the delight in the novelty of it all is dismissed, and the A&K system is fixed with the cold, hard stare of financial reality: even when looked at with the knowledge of what else the thick end of £13,000 could buy, this set-up makes perfect sense. In fact, hide it away and drive it with its app on a mini-tablet, and this system sounds every bit what would be expected of a high end audiophile system of the ‘big box’ kind – though why one would ever want to conceal it escapes me, unless it was to provoke visitors into asking ‘Where’s the hi-fi?’, and then revealing this diminutive set-up. There’s so much to enjoy here: with the app now completely sorted, one can operate the system with the display panel folded down into the top-plate of the AK500N, enhancing the anonymous, monolithic look of an object really giving no hint as to what it is or does now the last tell-tale ‘hi-fi’ clues have been removed. What’s more, the app is now the equal of any in the business in terms of slickness and enjoyability, while at the same time giving access to all the major functions of the system. But it’s the sound of the system to which one keeps returning, from the powerful, confident and effortlessly controlled bass right the way through to finest of detail in the midband and treble. Driving the big Bowers & Wilkins speakers, which aren’t exactly backward in coming forward when a recording has plenty of information to deliver, the A&K gives a thrillingly open and explicit view into fine performances and engineering, while at the same time being able to reveal all the grit and impact of rather rougher recordings rather than attempting to smooth off the edges. I tried all the reviewer’s tricks to throw it off the scent, from barely listenable MP3 files and low-bitrate BBC local radio streams, all the way through to DSD and very high sample-rate DXD FLAC files, and in every case the A&K proved itself to be more than up to the task it was set. The grumbling electronic bass-lines of the latest Jean-Michel Jarre album had toothsome weight and slam, while the 80s pop of Dave Stewart and Barbara Gaskin, drawing on everything from 60s classics to XTC and Thomas Dolby has both the low-end power to excuse the prolific synths and a glorious view of Gaskin’s effortless vocals. That last album was enough to have me off on an odyssey of 80s nostalgia, from Level 42 to Thompson Twins remixes, and believe you me there was some rough production going on back there – of which the Stewart/Gaskin set is emphatically not an example! And the ethereal quality of Gaskin’s voice also found me drifting to the rather disturbing Stay Awake compilation of Disney soundtrack covers from the same year, where the bleak darkness of the soundscapes sounded magnificent thanks to the A&K’s ability to get deep into a mix while at the same time communicating the music in captivating style, from a smoky rendition of Baby Mine by Bonnie Raitt and Was (Not Was) to Tom Waits giving it full-on bonkers on the dwarves’ marching song from Sleeping Beauty. Gloriously mad, yet immaculately produced, and the Astell & Kern/Bowers & Wilkins package (if you can think of it in those terms) simply nailed it. Having recently spent an amazing evening seeing Courtney Pine playing tracks from his recent album Song (The Ballad Book) with pianist Zoë Rahman in a small, intimate jazz club, and marvelling at the percussive sounds and scintillating runs of notes he managed to extract from his weapon of choice, the bass clarinet, it was fascinating to come home and cue the album up on the A&K system in the cold light of day, and be just as carried away by the cool precision of Rahman’s piano and that great blasting then whispering then soaring and shrieking sound. This is a lovely recording, in 24-bit/44.1kHz, and the system delivers all the space and expression of the interplay between the two musicians. OK, weirded out a bit there on the music choice, but it’s been an odd time of late, what with the nights drawing in and magazine schedules suggesting rather more Christmas music in heavy rotation than you’d get in a shopping mal. By the way, standouts through the A&K/B&W system have been the new Dunedin Consort Bach Magnificat and Christmas Cantata on Linn and the lovely Dancing Day set by New York’s Saint Thomas Choir of Men and Boys, conducted by the late John Scott, who died just days after this album went to press in August, and released in 24/96 on Resonus. The latter has a marvellously atmospheric reading of the Britten ‘Ceremony of Carols’, and playing it on the A&K proved totally immersive, from the opening processional right the way through the end of the piece, as did the Rutter cycle from which the album takes its title. On a smaller scale, but just as dramatic, the glorious Fitzwilliam Quartet recording of Bruckner’ string quartet and quintet, in 24/192 on Linn Records, simply pours from the speakers in the best ‘stop reviewing and start listening’ way through the A&K/B&W, thanks to the winning mix of fluidity, insight and unrestrained dynamics, giving the performances that superb ‘reach out and you could touch the musicians’ combination of power and intimacy. What’s more, the A&K system absolutely shines when you play DSD content through it, as I discovered with some recent downloads from the excellent NativeDSD site: the sheer bite and subtlety on offer from these (mailny classical) recordings is simply amazing, and the AK500 set-up really brings out those qualities. So we’re coming up on two weeks with the A&K as the ‘house system’, and I have to say that I’ve enjoyed every moment of it, playing familiar music and new arrivals alike, and relishing the way it sounds so much bigger than it has any right to – although of course physical size has little bearing on scale of sound these days – and most of all just sounds right with almost everything I chose to play on it. It does full-on orchestral music; it rocks; it brings out all the character in voices and solo instruments, and yes – gives that ‘listen in’ ability with just about any recording you summon up from your computer, network storage or its own internal drives. On top of all that, it’s simple to use with the upgraded app, immensely flexible without sacrificing any of its audiophile credentials (thanks to features such as that ability to switch off unwanted inputs and outputs), and reveals more – both operationally and musically – the longer you spend with it. No allowances whatsoever need be made for the radical styling and compact dimensions, and get a very firm feeling it’ll never be a case of wondering whether the right choice has really been made when the novelty wears off, simply because I think it would be a very long time before that happened. If ever. Yes, the A&K is undoubtedly unusual – I think I may have conveyed that impression by now! – but its performance is never in question, and sets this system well up there with ‘conventional’ high-end separates, not to mention showing a clean pair of heels to quite a few ‘roomful of boxes’ set-ups. 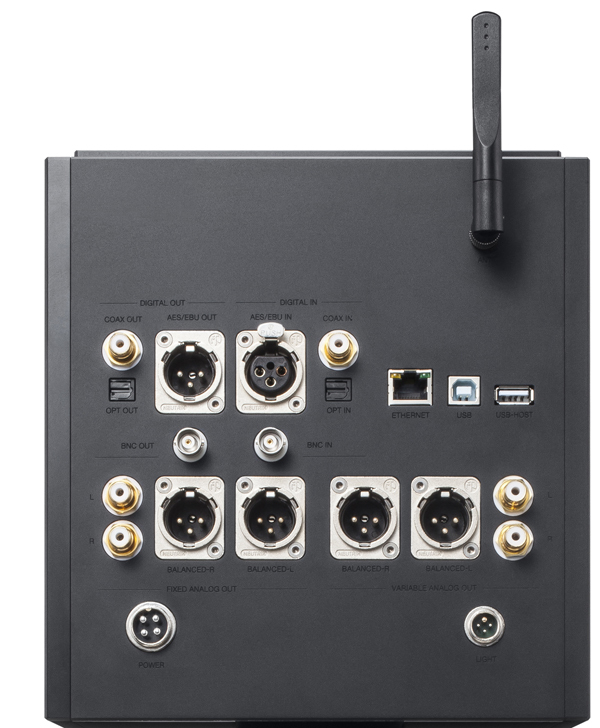 There’s the odd feature I’d like to see to make it perfect, notably an analogue input to enable the AK500N to be integrated with a home cinema system, but then that would fly in the face of the purist digital design here. 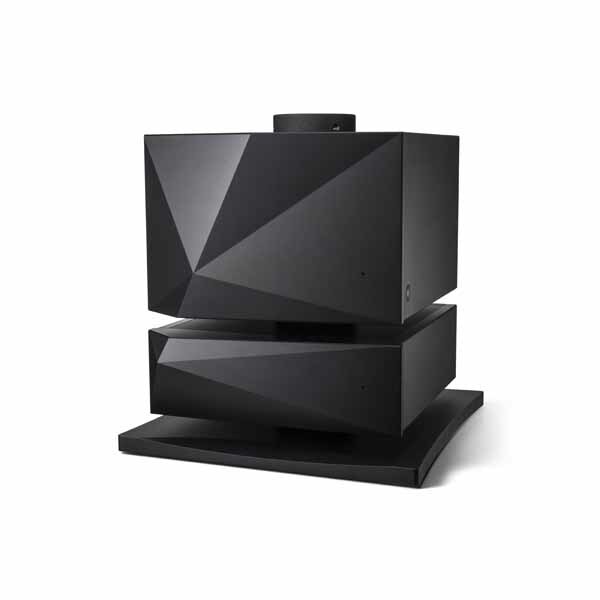 That aside, and partnered with a suitable pair of speakers (hint: think a long way beyond what you’d expect to use with a system sitting in a footprint of less than a square foot! 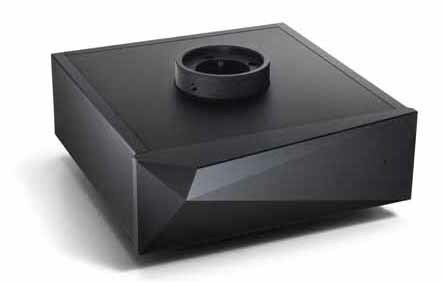 ), this is a set-up to confound prejudices about ‘designer hi-fi’, and satisfy the most demanding user. But then this isn’t designer hi-fi in the usual sense of the word, but rather superb hi-fi designed to attract the attention with its looks, not require excuses to be made. I will be mostly interested in the AK500N only to become the source of my existing Amplifier. I did not know that the AKConnect has been upgraded. This is good news 😉 but is TIDAL or QOBUZ now integrated ? Also did you tested it’s integrated headphone output ?